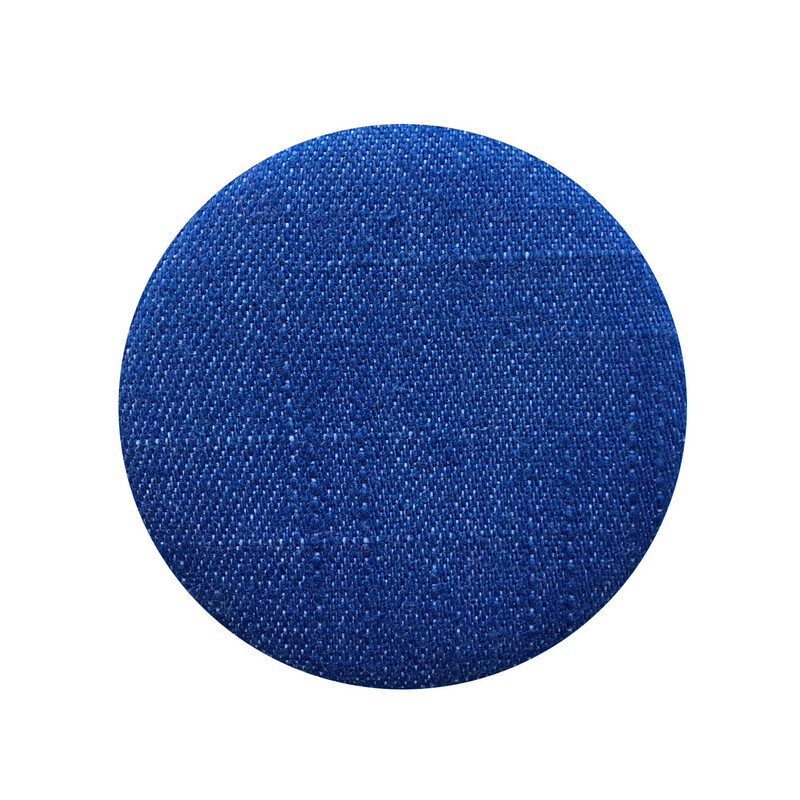 Deze button is bekleed met een blauwe denim. 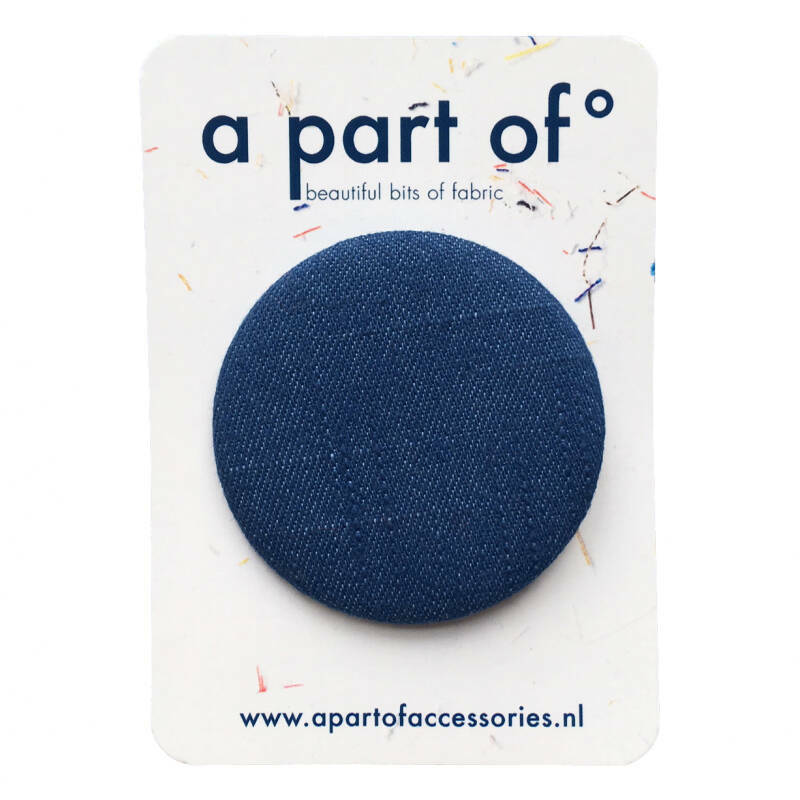 De button bevestig je met een speld. This brooch is covered with beautiful bits of cool blue denim. 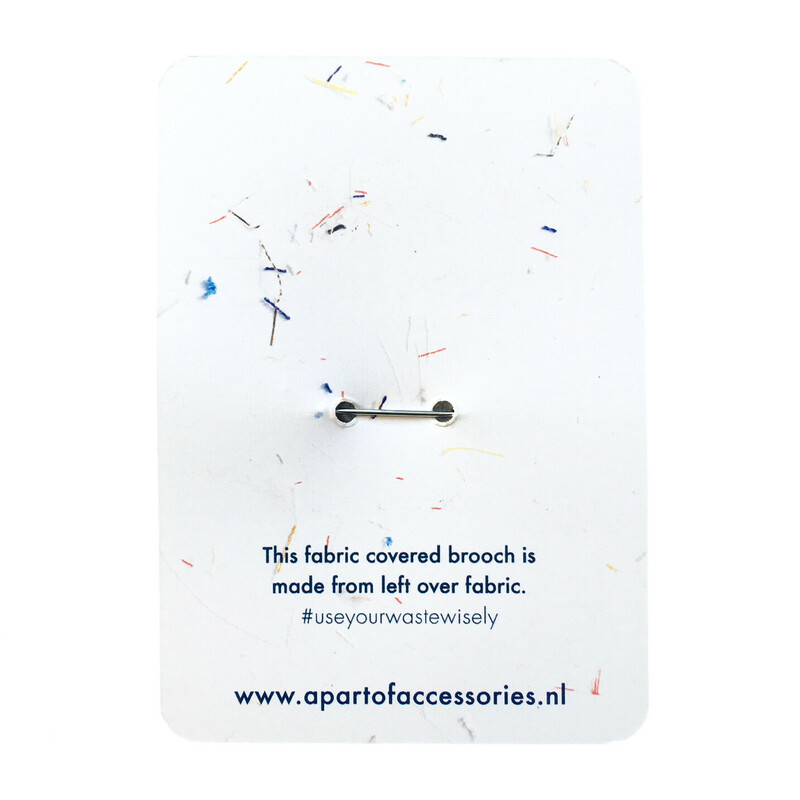 You can attach the brooch with a pin.